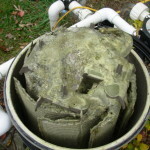 If your pool filter looks like this, it’s time to give us a call! When your swimming pool equipment isn’t functioning properly, it’s difficult to enjoy your pool! 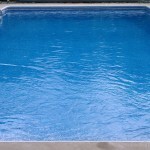 Let Aqua-Matic Pools help you repair or replace broken, worn out, leaky or noisy pool equipment. As a certified dealer of Hayward and Polaris equipment, we carry a full line of parts and accessories for all types of filters (DE, sand, and cartridge), pumps, motors, heaters, automatic vacuum cleaners, pool lights, chlorinators, and salt chlorination systems. To place a service call, complete the “Quick Contact” Form or call us at (610) 582-7665. We will return your call promptly and we will provide immediate phone consultation. If your issue requires an on-site service call, we send only fully-trained swimming pool technicians to your job. Additionally, we offer “In-Shop Labor” for minor equipment repairs and resets. 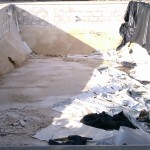 Simply bring the part in to the Pool Store and we will repair, replace or adjust the part as needed. For this pool renovation project, Aqua-Matic Pools completely removed the damaged pool bottom, poured a new vermiculite pool floor, and installed new wall foam and a new vinyl liner. In just a few days, the homeowners went from having a dangerous eye-sore in their backyard to a gorgeous “new” swimming pool to enjoy! This underground plumbing repair project started with a Leak Detection that identified a problematic leak in the return line the original pool builder had installed beneath the pool deck. 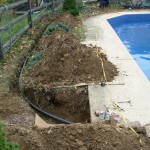 Aqua-Matic Pools’ solution bypassed the damaged plumbing by installing a new underground return line which runs from the filter to the return jet. All swimming pool equipment requires proper maintenance. In this instance, the DE filter was not being properly back-washed or cleaned on a regular basis, and too much new DE was being added. This caused excess DE to accumulate and clog the filter. 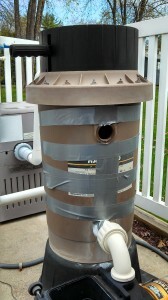 Aqua-Matic Pools dismantled the filter, thoroughly cleaned the filter and grids, reassembled the equipment, and provided the homeowner with a refresher on filter care and maintenance. With a properly functioning filter, and a little attention to water chemistry, the pool owner’s family was back to swimming in a crystal clear pool in no time!